The Monmouth County Sheriff’s Office in conjunction with the New Jersey Division of Highway Traffic Safety created the Safe C.A.R.G.O Program to raise awareness on the importance of child/passenger safety. Established in October of 1999, SAFE C.A.R.G.O. educates and informs parents on the proper installation and use of child safety seats. 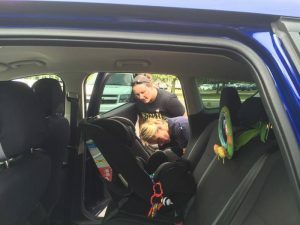 At free, voluntary safety checkpoints across Monmouth County, specially trained technicians check car seat model numbers for possible manufacturer recall, inspect car seat anchors and stabilize seats with additional padding to prevent rocking. The Monmouth County Sheriff’s Office is a leader in providing child safety seat inspections throughout the calendar year. In the year 2001, the Sheriff’s Office conducted 654 voluntary inspections at 22 safety checkpoints. In addition, the Sheriff’s Office teamed with the Monmouth County Highway Department to provide winter season, indoor safety inspections at heated county garages. The Sheriff’s Office also teamed with the Latino Committee of Monmouth County and trained bilingual safety technicians to provide this important safety program to Spanish-speaking residents. 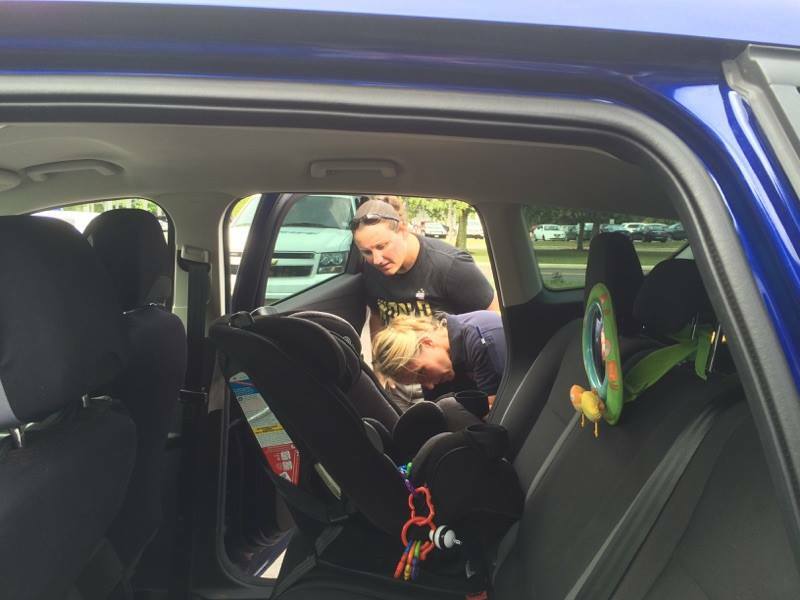 Did you know that 4 Out of 5 Car Seats Are Used Incorrectly? Motor vehicle crashes are the number one cause of death for children over the age of 6 months. Over 600 children die each year due to improper use of Child Safety Seats. 50% of those children were not restrained. Together we can make a difference and transport our children safely. On Wednesday, 5/15/2019, between 3:30pm and 6:30pm, a child safety seat checkpoint will be set up to inspect child safety seats. Trained safety seat technicians will be on site to determine the safety of your child's seat. This event will take place at the Monmouth County Garage located at 240 Center Street in Freehold, NJ. and is open to the general public. On Wednesday, 6/12/2019, between 3:30pm and 6:30pm, a child safety seat checkpoint will be set up to inspect child safety seats. Trained safety seat technicians will be on site to determine the safety of your child's seat. This event will take place at the Monmouth County Garage located at 240 Center Street in Freehold, NJ. and is open to the general public. On Wednesday, 7/10/2019, between 3:30pm and 6:30pm, a child safety seat checkpoint will be set up to inspect child safety seats. Trained safety seat technicians will be on site to determine the safety of your child's seat. This event will take place at the Monmouth County Garage located at 240 Center Street in Freehold, NJ. and is open to the general public.